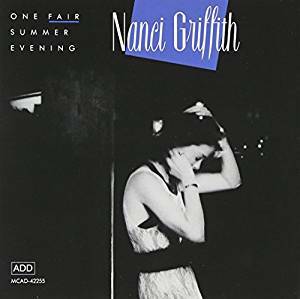 Sweet-voiced songstress Nanci Griffith straddled the folk and country genres, enjoying modest success with her own recordings and having her songs recorded by country hit makers such as Suzy Bogguss and Kathy Mattea. She even made Julie Gold’s “From a Distance” a top ten hit in Ireland prior to Bette Midler taking the song to stratospheric heights. The sympathetic, restrained accompaniment of the Blue Moon Orchestra gives this live release an organic feel throughout. Compared to the original studio versions, which often seem over produced, these recordings feel like the definitive versions of these songs. Despite only modest success on its release, this album feels like a classic today.